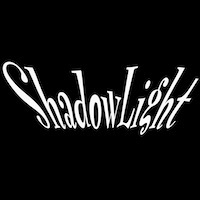 ShadowLight Productions was founded in 1972 by theatre artist, filmmaker and shadow master, Larry Reed, to nurture indigenous shadow theater traditions and to explore and expand the possibilities of the shadow theatre medium by creating innovative interdisciplinary, multicultural works. Our mission is to expose the general public to shadow theater and other art forms. The means of providing such exposure includes but are not limited to live performances, educational programming, film and other media. Honoring the traditional form of shadow theatre while innovating through the use of contemporary methods and interdisciplinary approaches. ShadowLight is one of the very few professional Shadow Theatre companies in the world. Our organization fills a distinctively unique role in the California and American theatre scenes. Larry Reed is one of the few Americans to be trained in wayang kulit, Balinese shadow puppetry and performed in this tradition around the world over the last 35 years. In the early 1990's, Reed began expanding the scope of ShadowLights artistic activities and invented an ingenious shadow casting method, which integrates the traditional shadow theatre techniques, cinematic effects and modern theatre and dance styles. Truly multidisciplinary and performed behind and in front of a large screen (15ftx 30ft), our original works employ specially-designed projectors to cast silhouettes of puppets, actors, and cutout sets, all of which are manipulated to create astonishingly cinematic effects live on stage. Each show features live music and is created by a collaborating ensemble of writers, choreographers, composers, designers, actors, dancers, musicians and puppeteers from the various performing arts traditions such as Chinese, Tibetan, Indonesian, Japanese, Filipino and Latin American. Become a ShadowLight Arts Partner! Contact us about our residency programs.